CCP marks its golden anniversary with a sterling lineup of artistic performances, competitions, and culturally-inclined conferences. "The artistic team has focused on three strategic areas namely, excellence in the arts, partnering for leadership in the arts, and broadening the reach of the arts," says CCP Chairperson Margie Moran-Floirendo. Starting on September 2019 to 2020, art patrons will be indulged with live performances, exhibitions, as well as national and international tours of select CCP homegrown companies and revered local and international artists. Moreover, CCP will be hosting the conference of the largest alliance of major performing arts venues, the Association of Asia Pacific Performing Arts Centre, where executive directors, artistic directors, programmers, impressarios and suppliers in the performing arts venues in the Asia-Pacific region are expected to attend to plan on the industry's progress in the next years. Simultaneously, there will be a Manila Performing Arts Market, a gathering of performing arts professionals and groups to network, showcase, and pitch upcoming performances and seasons, engage in business matching, and enrich the Philippine creative industry. Not only that, CCP will be attending the 36th Federation for Asian Cultural Promotion Busan Conference and also opening the 37th concert season of the Philippine Philharmonic Orchestra (PPO) at the Tanghalang Nicanor Abelardo with Spanish-Philippine soprano Andion Fernandez as soloist. But perhaps the highlight of the month is the two-night show of the CCP People's Gala featuring the best performing arts and companies at the CCP Main Theatre. Besides these, there are a lot in store for CCP not only during its anniversary month but also throughout the year. 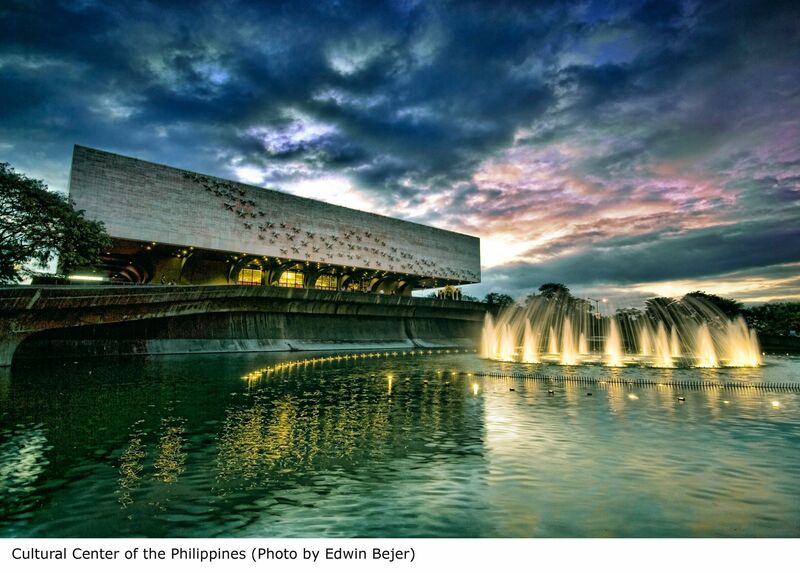 Most notable is the opening of the much-anticipated CCP Black Box Theatre, which will be known as Tanghalang Ignacio Gimenez, that is designed for experimental theatre and multimedia experience for adventurous audiences. Furthermore, CCP expands the reach of its flagship festivals such as Pasinaya, Cinemalaya, and Virgin Labfest, to name a few. "We celebrate the accomplishments of our artists of the last 50 years," says Moran-Floirendo. "We make first the important step to pursuing the possibilities of the next 50 years. And together with you, our friends and family from the media, will make it known to the broadest public so they, in turn, can participate and fully engage in the artistic gifts being prepared for the celebration. We are excited! And looking forward to CPP’s 50th foundation anniversary." PPO will bring the excitement of live, symphony music to Davao City, through its outreach concerts happening on 23 November at 5:30 P.M. at Rizal Park, and on 24 November at 5:00 P.M. at RMC Petro Gazz Arena. Both concerts are free to the public. The first will coincide with the city's Christmas tree lighting ceremony, conducted by Maestro Herminigildo Ranera, while the second will be conducted by PPO music director and principal conductor Maestro Yoshikazu Fukumura and Maestro Ranera. Experiencing Indigenous Culture at "Ili ay Cordillera"
Launching of the updated edition of the CCP EPA—the most authoritative and comprehensive source of information on Philippine art and culture. The new edition comes with beautiful covers and is composed of 12 volumes in full colour focusing on Peoples of the Philippines, Architecture, Visual Arts, Dance, Music, Theatre, Film, Broadcast Arts, and Literature. This print edition of the EPA contains more than 5,000 entries featuring historical essays, forms and types, aspects of production, major works, artist biographies and bibliographies put together by more than 500 respected scholars, experts, researchers, and writers from leading universities and research institutions. Launching on 28 November; 5:00 P.M. at the Tanghalang Nicanor Abelardo Lobby. Kids and adults will delight in CCP's Christmas offering Snow White, choreographed by Effie Nañas. Relieve the enchanting story of a beautiful girl whose skin is as white as snow and lips as red as roses. Bring the whole family for a grand time at the theatre! Dates: 30 November & 7 December at 8:00 P.M. | 1-2, 8-9 December at 2:00 P.M. & 6:00 P.M. The company's third play for the season is the Philippine version of Japanese playwright-director, Oriza Hirata's internationally acclaimed "quiet play", Tokyo Notes which exploits silence, whispers, and low-key confrontations to dramatize the effects of war and man-made conflicts on family relationships. Dates: 30 November at 8:00 P.M. | 1 December at 3:00 P.M. and 8:00 P.M. | 2 December 3:00 P.M. This new production of Bellini's masterpiece stars Sondra Radvanovsky as the druid priestess and Joyce DiDonato as her friend and rival, Adalgisa—a casting coup for bel canto fans. Tenor Joseph Calleja is Pollione, Norma's unfaithful lover, and Carlo Rizzi as conductor. Sir David McVicar's evocative production sets the action deep in a druid forest where nature and ancient ritual rule. Dates: 4 December at 6:30 P.M.
A night of puppetry, music, and magic with Philippine Ambassador of Puppetry and Talentadong Pinoy Hall of Famer—Wanlu. Dates: 7 December at 8:00 P.M.
For its second year, the Festival of Arts and Ideas engages artistic expression with issues concerning mental health conditions, resilience and healing. The festival's main components include an exhibit inspired by the Julia Buencamino bench project, a paper crane tree installation, film screenings, workshops. performances, poetry readings, forums, and other interactive activities. Be part of this festival and help overcome the stigma of mental illness and shed light on the struggle with mental conditions. For its December season concert, the PPO features NAMCYA winner Joaquin Maria "Chino" Gutierrez on violin. He made his orchestral debut at age 10, playing Lalo's Symphonie Espagnole with the Metro Manila Community Orchestra under Josefino Chino Toledo at the CCP. Chino will perform Wolfgang Amadeus Mozart's Violin Concerto No. 5 in A Major. The programme also includes Hans Pfitzner's The Christmas Elf Overture; Engelbert Humperdinck's Hansel and Gretel Prelude to Act One; Peter Ilich Tchaikovsky's The Nutcracker Suite and Christmas music; hymns, carols, and songs. Date: 14 December at 8:00 P.M. The Bayanihan Philippine National Dance Company showcases award-winning international folk dance companies. In keeping with the spirit of Filipino Catholic tradition, the CCP, in partnership with the Our Lady of Sorrows Parish, holds its Simbang Gabi at the CCP Main Ramp. Dates: 16-24 December at 5:00 A.M.
CCP's Paskong Pinoy and the nine-day dawn masses will culminate in this Christmas Eve mass. It will be highlighted with choral and dance performances as well as re-enactment of the traditional Panunuluyan. Date: 24 December at 7:00 P.M.